How is your team rated at the half-way mark? MAKE sure you pick up tomorrow's NewsMail as we look back at the first half of the Bundaberg Rugby League season. A joint-project between the APN-published Bundaberg News-Mail and Fraser Coast Chronicle, the mid-year report will take a snapshot of how each team has performed. 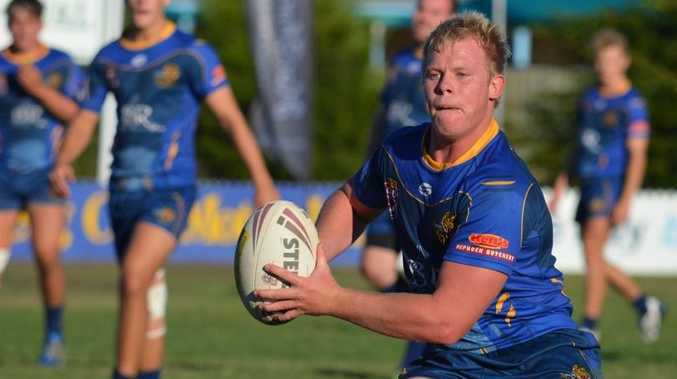 Brothers and Hervey Bay Seagulls are equal first on the BRL ladder heading into their major clash at Brothers Sports Club this Saturday. Both sides have been rated competition favourites, and fans could be treated to a grand final preview. A loss would not be disastrous for either side in terms of where they sit on the table, as the pair enjoy a six-point gap to the equal-third Wests Panthers and Isis Devils. A win would give either Brothers or Seagulls not only bragging rights, but pole position as they battle for the minor premiership. Maryborough's Wallaroos haven't had as good a year but find themselves locked in a three-way battle for third. Currently fifth, Wallaroos are two points adrift of Wests and Devils. After reading the report be sure to go to www.news-mail.com.au to see full details of your club's pointscorers in the 2015 season. Tell us what you think of the competition so far either on NewsMail's Facebook page, our website, or by sending an email to sport@news-mail.com.au.